This sought-after centre is situated downtown, just moments from Rosetti Square, with excellent transport links close-by. The centre offer up to 80 workstation divided across several rooms, along with three fully equipped meeting rooms. Staff are available to help with your business administration requirements, and you can benefit from 24-hour access, state-of-the-art facilities, and secure on-site parking. A trendy, new centre that offers clients the chance to boost productivity and offers autonomy for those seeking to boost their business and want to see profits increase. Meeting rooms are available to be booked on an hourly basis. Flexible contracts are provided, offering the business owner to determine their best terms. The centre is fully staffed, has an access to a modern kitchen and is protected by 24 hour security. The centre is close to a large number of restaurants and bars. There is also a hairdressers, supermarket and a sports hall so very suitable for those who are have busy day to day lives alongside work. Politehnica station is very close by and easy to walk to. Major road networks are close by so it suits commuters and the Bucharest Airport is within an hours drive. This impressive building is well equipped with modern, well designed offices which offer an extensive set of high quality facilities, such as high speed internet, conference services and 24 hour access. There is an abundance of natural light, owing to the building's exterior glass-work. It boasts flexible occupancy terms, as well as a prime location. Just outside, there is a shopping centre full of fantastic restaurants, cafes, shops, a cinema and a gym. Built in 2006, this modern building in steel and glass is close to the most important financial and business district of Bucharest. On-site facilities and services include flexible terms, fully professional furnishings of an exceptional quality, provided reception area and administration services and a very large and comfortable kitchen area. It is surrounded by banks, luxurious hotels, fine restaurants, cafés, shops and cultural places. 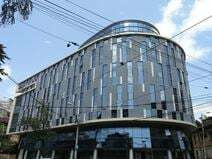 A wide selection of offices is available in this stylish and superb building, located in the heart of Bucharest, on one of the main street of the city. 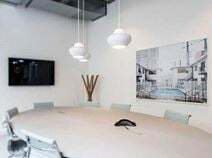 Here, there is administrative/IT support, well designed meeting rooms for convening collaborative projects, a comfortable working environment, on-site parking and reception services. The building is set in an area crawling with restaurants, fine hotels, theatres, museums, cinemas and shops. Found in the affluent area of downtown Bucharest this business centre boasts a range of stylish office spaces including private offices, coworking desks, meeting rooms and virtual office options. Spaces are bright and spacious, fully equipped with everything you may need during your working day. With 24 hour access you can work around the clock at your own pace. Nearby you will find several amenities including hotels, eateries and car parking options. This business centre offers a very large working space, provided with professional and multilingual staff to support you in running your successful business. Here, there is comfort cooling, meeting rooms, training areas and flexible terms for your convenience. This centre is located in a brand new business district, which hosts leading companies and is well connected to the international airports and to the city centre. This central Bucharest location is easy to access, and is close to two airports. Occupying an iconic building, this centre offers offices in a comfortable and efficient business environment. Ready to move in to immediately, these offices are light and spacious. The centre is surrounded by embassies but is also a popular location for insurance companies, chemicals and energy corporations, as well as being the home of Romanian National Television. Located in an up and coming area of Bucharest, this business centre offers a vast range of office spaces including private offices, coworking spaces and access to meeting rooms. Offices are spread across 3 floors in a 7 floor building with a beautiful glass facade. The centre also boasts a beautiful on-site restaurants with a courtyard. The space finds itself surrounded by plenty of local amenities and public transport links. This business centre is well situated in the heart of Bucharest and offers an array of professional services to help your business as it develops. Here, there are meeting rooms, lounge areas and high-speed internet to be utilised. The office building is also accessible 24-hours a day, allowing liaison with overseas clients to be undertaken seamlessly. With a central location this fantastic area has so much to offer including an abundance of local cuisine, trendy cafes and other important amenities such as supermarkets and banks. Public transport links are substantial as well with the bus and train stations located within a 5-minute walk. A convenient 15-minute drive from the local airport this workspace benefits from excellent public transport links, including trams and the underground. In a developed business district, the offices benefit from high speed Wi-Fi to ensure you remain well connected. This is a superior work-space solution with a prestigious address will give your company an impressive presence upon occupancy. The surrounding area offers many cafes and restaurants, whilst the centre itself offers 24-hour access, spacious meeting rooms, conference facilities and an abundance of natural light. Opening soon in the district of Pipera in Bucharest, this business centre is found in a dynamic business park in the capital of Romania. The centre offers a range of modern and high-end office solutions, including private offices, dedicated desks and hot desks in a coworking space. The interior is stylish and unique, with walls decorated with local art to promote a productive and inspiring atmosphere where you can flourish. The location is ideal, with excellent public transport links and lots of networking opportunities in the neighbourhood. This centre is on a sensationally accessible site: a unique place for your business in the Romanian capital. Close to the public transport hub at Piata Chirigiu and a 10-minute drive to the CBD, this centre is housed within a modern tower building that provides an abundance of natural light and a beautiful vertical garden. It is the perfect workspace solution for forward-thinking businesses that value practicality within an attractive setting. Opening soon in the business district of Bucharest, this brand new business centre will offer beautifully furnished and decorated working spaces which range from hot desks to dedicated desks and private offices. The walls are decorated with local art to encourage and promote an atmosphere of productivity and inspiration. The building is accessible 24/7 so you can work flexibly, and free beverages are provided to keep you going including a coffee bar. The location is very central with good public transport links and a beautiful public park just across the road. This business centre is well situated in a vibrant area of Bucharest and is home to several useful services including fully equipped meeting rooms, business lounge, high-speed WiFi and business lounge. The centre maintains an extremely productive and inspiring atmosphere, and all offices are available on flexible terms at affordable prices. In addition, the area is bustling with activity stemming from the esteemed Polytechnic university around the corner. Other local amenities are easily accessible including plenty of bars, restaurants and pleasant scenery. Public transport links are also copious with several train and metro stations within short distances from the centre. This is an A-Class building that provides fully equipped and furnished office spaces ready to move into right away. 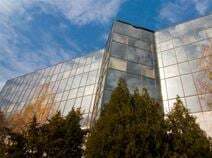 They are available on flexible terms and are located in the center of Bucharest, giving great access to the transport network and various local amenities .Features include 24-hour access and security, conference facilities, spacious meeting rooms, secure parking, and an on-site management team. Opening soon in the Eroii Revolutiei area of Bucharest this business centre is guaranteed to nurture and meet all of your business needs. The centre provides modern and fully equipped offices, ready to use. Become a member today for the opportunity to work alongside and grow with like minded individuals. There are several communal spaces open for your use, including terraces and kitchens. The location allows for excellent public transport links and plenty of local amenities including cafes, restaurants and shopping. Conveniently located in a strategic business area, this building is surrounded by several shops and hotels and is situated within walking distance of the RomExpo exhibition. It offers offices, training rooms, meeting and conference rooms, all furnished and equipped with the latest technology systems. These office spaces, provided with secretarial and administrative services, are available at a very convenient price and at flexible rental terms. This wonderful work space solution offers excellent facilities in one of Bucharest's finest locations. It is accessible 24/7, with a friendly support team to enhance the efficiency of your operations. The secretarial team can greet your guests with great professionalism, and also manage your mail handling and telephone answering. With its pleasant work environment, it will inspire focus and productivity daily. Close by, there are multiple transport links, as well as a number of eateries, shops and more! Found in the heart of Bucharest, this business space offers a vibrant community of entrepreneurs and a professional modern working space. You can choose from a selection of offices including private offices, open coworking spaces and access to meeting rooms. With 24 hour access to the building you can work at your own pace, whenever you want. The offices are served by a number of public transport options including the underground and bus services.